Alaska Airlines has been getting a lot of attention lately and I feel that after the United devaluation, the airline can now be considered among one of the best miles to earn and redeem for both domestic and international trips. On top of that, the Alaska Airlines Visa is currently offering a 50,000 mile bonus–making it one of the best card offers currently available in my opinion. I don’t earn a commission on this card if you are approved, but the deal is great so I felt it deserves some attention. This is the highest bonus I have seen on the Alaska Airlines card and the minimum spend is low at $1,000 within the first 3 months. Another benefit is that the card is issued by Bank of America, so it doesn’t take away from other card opportunities from Chase, American Express and Barclays. Some other valuable changes that Alaska Airlines has made recently include expanding elite-qualifying mileage earning to all its airline partners, some very generous mileage bonus promotions, and an all-time high bonus offer for the co-branded credit card from Bank of America and Visa. This is all on top of the fact that Alaska Airlines has valuable partners in both Oneworld, SkyTeam, as well as non-alliance partners. Alaska Airlines miles let you book one-way, round-trip or open jaw trips. Plus you are allowed one en-route stopover on international one-ways or if all award travel is on Alaska Airlines. The very generous one-way and stopover rules allow for some great award flexibility and let you plan interesting trips. Since the stopover rules apply to one-way trips there is no reason to book round trip awards. You can get a stopover in each direction when using one-ways with Alaska Airlines! They also have some of the lowest award prices to many international destinations and a very competitive award chart. A huge bonus is that taxes and fees are incredibly low on both domestic and international awards! For example you can book a round trip flight from Portland to Bangkok on Delta for 60,000 Miles and $96.20 in taxes and fees. Using the online system to book awards is easy enough and you also get access to great award seat availability, but to book awards on Cathay Pacific or LAN you will have to book over the phone. 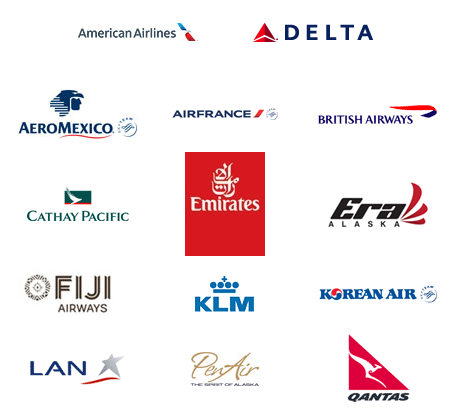 Your Alaska Airline miles allow you to fly on all these airlines! With access to all of its partners, you can fly to almost any destination worldwide and with great airlines! Even though Alaska Airlines does not fly to many international destinations you can use your Alaska Airlines miles to fly to almost anywhere in the world with partner airlines. You can book flights on any of these airlines, which means you get many choices when it comes time to booking award travel. A huge plus is that Alaska Airlines’ website is incredibly easy to use and you can book partner award travel on all partners except Cathay Pacific and LAN. You can use Alaska miles to fly almost anywhere because not only do you have Alaska’s destinations as options, but also its partner airlines! The best way to see where Alaska Airlines flies is using their destination guide and route maps. To find out where each partner airline flies could take a bit more time. 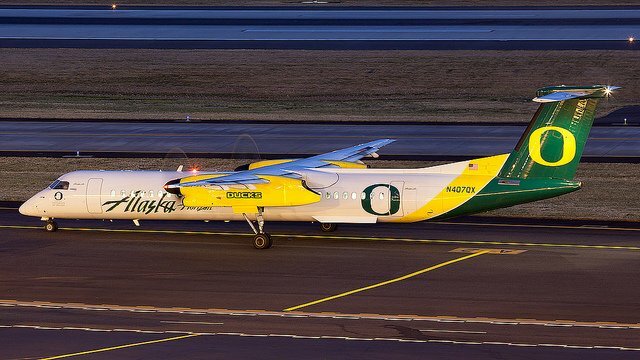 You could visit each partner airline’s website and see where they fly, but it’s probably best and easiest to assume that one of the partners flies there and to search using Alaska’s online award search tool. Use Miles To Fly to Where Alaska Airlines Flies and Even Where They Don’t! Alaska Airlines does not have routes to Asia, but you can still fly there using their miles! Because you can redeem Alaska Airline miles for flights on any of the partner airlines, you can fly on Delta or Cathay Pacific to Bangkok. For example you can book a roundtrip economy flight on Delta from Portland to Bangkok for only 60,000 Miles and $96.20 in taxes and fees! Fly on a Delta plane with Alaska Airline miles! The Alaska Airlines website is very easy to locate award seats. You can search and book all but two partner airline flights online. In posts to come, I will cover how to find and book partner awards for international flights. Alaska Airlines does not fly to Istanbul, but you can still fly there because you can redeem miles on partner airlines such as Air France, Delta, and British Airways (but you will want to avoid BA because their fuel surcharges are high!). Using Alaska Airline miles you can fly from Los Angeles to Istanbul on Delta planes for 60,000 miles and $65 in taxes and fees! Between Alaska Airlines and its partners you can pretty much fly anywhere! This is just a quick glimpse of the values Alaska Airline miles have and where they can take you. 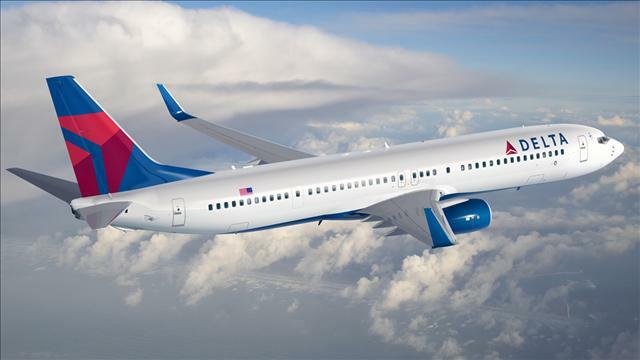 Alaska may be one of the most underrated airlines when it comes to mileage programs and using their miles can be extremely valuable for both domestic and international travel. There are many more benefits of Alaska Airlines miles that we will learn about in the future! Great introduction, are there any recommendations for travellers who are heading to America/Canada for a year…or is it not worth it for the time frame?